The Villanova University Women’s Soccer Elite College ID Clinic will take place at the Higgins Soccer Complex in Villanova University campus. It is a 3-hour training program from 11:30 AM to 2:30 PM on the 21st of October. This clinic is inviting all female soccer players in grade 7 up to grade 12. Furthermore, the training program is an ideal opportunity for the participants to experience high-level collegiate training under the supervision of professional collegiate coaches. It provides an opportunity for exceptional players to showcase their skills and be a part of the Villanova women’s soccer team. At the conclusion of the event, attendees will receive valuable assessment and evaluation from the university’s soccer coaching staff. Villanova University, formerly Villanova College, is a private, coeducational, research university in Villanova, Pennsylvania. It is an affiliation of the Roman Catholic – Order of Saint Augustine. Its campus is a 254-acre suburban type. The university is a member of the Association of Catholic Colleges and Universities. It is also part of the National Association of Independent Colleges and Universities. It has around 7,000 undergraduate students and around 3,800 postgraduate students. In addition, Villanova University is an institution of academic excellence. In fact, it is 46th in National Universities, 2018 edition of Best Colleges rankings. It is also 48th in the Best Value Schools rankings. The university has 22 intercollegiate sports teams. They are campaigning in the Big East Conference, Colonial Athletic Association, and Philadelphia Big 5. Their athletics nickname is Wildcats and their official colors are blue and white. 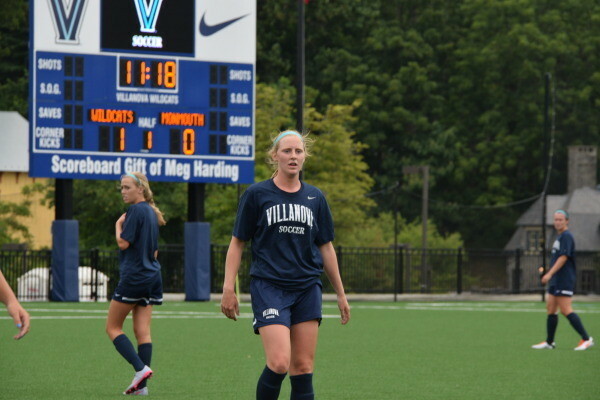 Leading the Villanova University women’s soccer team is Head Coach Chris McLain. Coach McLain is a former associate head coach at Ohio State University. Helping Coach McLain are assistant coaches Daniel Clitnovici, Megan Geldernick, and Devon Swaim. Then, Kevin Miller is the sports performance specialist. The director of soccer operations is Bri McAuliffe. And finally, Ellis Lazenby and Claire Callahan are the student managers. The Villanova University Women's Soccer Elite College ID Clinic is an ideal opportunity for the participants to experience high-level collegiate training.